What Is The Purpose Of The Gas Cylinder Wall Bracket? 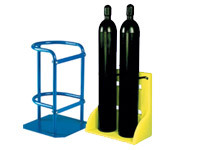 Designed to securely keep all your gas cylinders upright and secure, this wall-mount ensures that you have order and clarity in your shop and warehouse. At the end of the day it is so easy to quickly place the cylinder or bottles in their respective mounts and secure with the chain. These brackets also allow you to quickly view your stock levels. You also have the cylinders and/or bottles stored in a safe way that will save you from excessive lifting or unsafe strains. 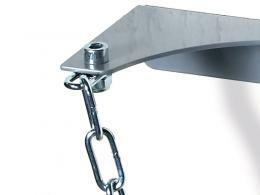 This gas cylinder wall bracket will except gas cylinders or bottles up to maximum diameter of 140mm. The hot dip galvanised sheet steel mount is strong and can withstand the burden of whatever you choose to secure to the wall. Where Can The Gas Cylinder Bracket Be Used? Anywhere you need to securely store your gas cylinders, this storage bracket will come in handy. With pre-drilled holes, the gas cylinder bracket can be affixed to nearly any wall in your warehouse, shop or storage area. Use it in the shop, the warehouse, the garage or anywhere else you need access to your gas cylinders. The U-shaped mount is ready to affix to any load-bearing wall. Affix to bricks, concrete, wooden frames or wherever is most convenient. Who Might Use The Gas Cylinder Wall Bracket? Supply businesses can use it store and display their gas cylinders. Shop owners can use to order their warehouses. Home handymen can use it to maximise their work space. Anybody who needs easy access to their gas cylinders or need a convenient and safe way to store their products can make use of this wall bracket. 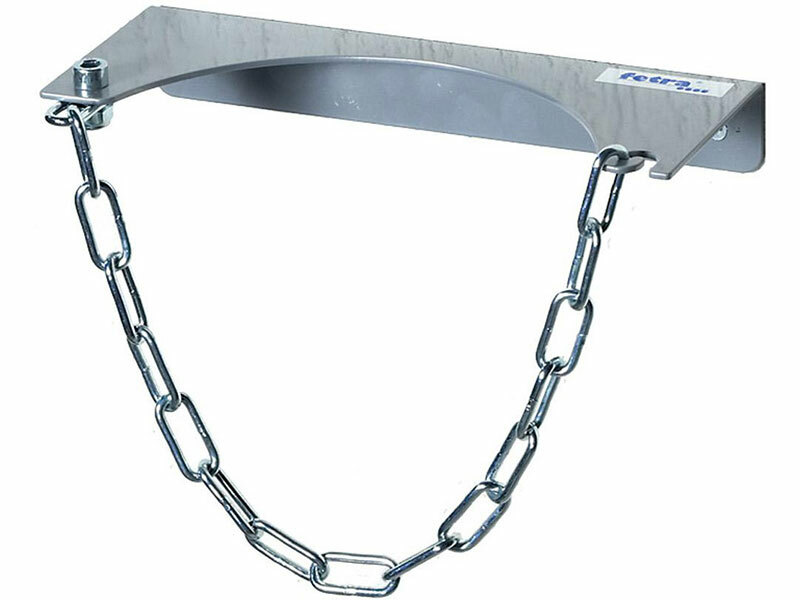 Hot Dip galvanised steel chain construction. 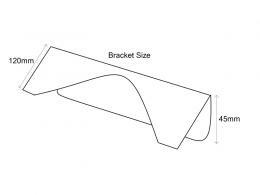 Sheet Steel bracket construction for added strength. 1 year parts and labour warranty included.